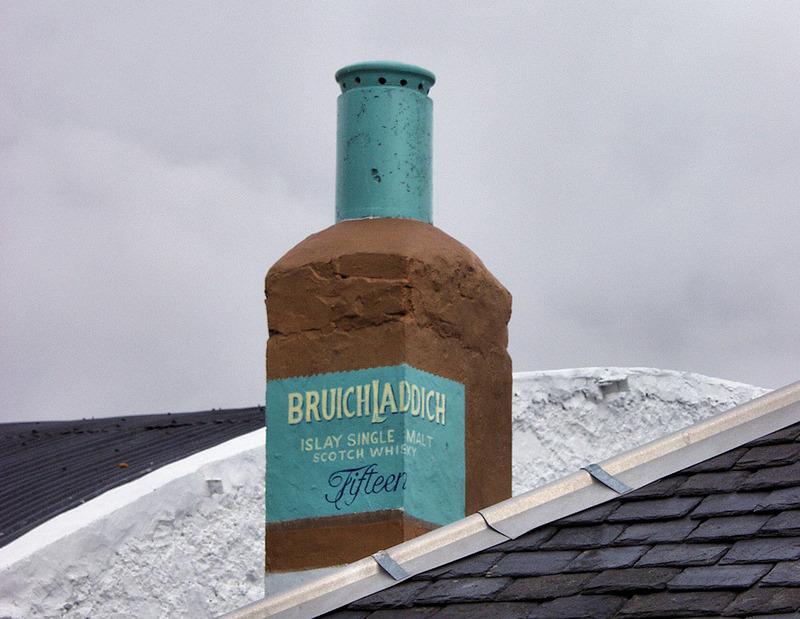 An interesting detail at Bruichladdich distillery, a chimney painted like a giant Islay single malt whisky bottle. This entry was posted in Cloudy Weather, Distilleries, Repost and tagged Bruichladdich, Islay by Armin Grewe. Bookmark the permalink. my english is poor but i’ll try to give you my opinion about your chimney : bravo !! it is ingenuous, demonstrative, and “suggestive” and it gives the desire to taste your famous Octomore. Thank you! And your English is just fine, don’t worry about it.